No matter how private family planning is, the number of children parents desire to have depends on many objective factors. Having children indeed bestows joy and happiness, but sometimes it might pose definite problems, thus making parents to think twice before planning their families. How many children should a modern family have remains a question for many. Personal, medical, and financial well-being may be determining factors in how many children you decide to have. Looking at old family photo albums, we can easily notice that having many kids somehow was in fashion before. Azerbaijani traditions and mentality for centuries called for large families, and there were a couple of reasons for that. For some, large families meant extra help for parents in their agricultural and domestic activities, while other families expanded due to religious considerations. But in the 1970-80s, this trend had gone down and families with 2-3 children became the norm in society. After gaining independence, this figure has stopped at “two and no more” for many families. According to the census data in 2009, some 30.1 percent of Azerbaijani families had one child, while 40.3 percent had two children, 19.9 percent had three children, and only 9.7 percent of families had four or more children. If we are to compare these statistics with 1999, then the percentage of families with three and more children has dropped by almost twice. Many couples prefer to 1 or two children in the family just because of uncertainty to feed, maintain and educate them properly. Today a baby has turned into an "expensive pleasure" and parents need to spend a lot of money on his/her food, clothes, education, etc. 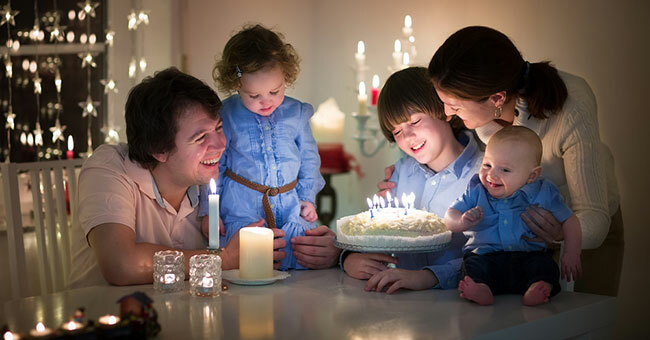 A family with two children is the most common option and as a rule, parents consciously support this family structure, saying that their decision depends solely on financial causes. They believe that it is better to ensure one child with all the necessary tools, than to provide a bad base to several others. Moreover, some agree that many parents with comparably more number of children are unable to give the same amount of attention and upbringing to all of their children. Often children who have no brothers and sisters receive a better education, live in a separate room from the first years of life and get more parental attention than their peers from large families. A mother of three sons, who agreed to share her views to Azernews on the basis of anonymity, said that having a large family is very difficult. When planning the family, they thought about two kids, but the spontaneous birth of the third child completely changed their lives. Two of her children go to school and the little one goes to kindergarten. She said it’s very hard for her deal with three children at once for the reason that she works and after a busy day, it’s very hard to have to help her children with homework. It may seem trivial, but finances really are important in family planning. “Having the financial capability, you can hire a nanny or a housekeeper, and it can very much help you with your duties,” she said. Proponents of large families, however, say that a house full of kids is not one to be missed. The interaction and love that goes on in large families is amazing. Third child in a family often mitigates the disadvantages inherent in families with two children, so in terms of child psychology, families with three or more kids are the most prosperous. However, this case brings forth the very different question of whether the family is able to maintain the proper standard of living and education for the children. Clothing and food are not the only requirements for maintaining healthy kids. Education, tutoring, hobbies and other expenses could be listed as more important. Meanwhile, some families confess that they have had many children by accident. From the beginning of the year, for instance, some 1,970 twins and 63 triplets were born in Azerbaijan. The birth of each new child is not just a joy for a family but also for the whole of society, as we see these kids not only as angels, but also as citizens. Statistics show that Azerbaijan does not have a demographic problem. The country’s population increased 0.8 percent from the beginning of the year, reaching 9,666,000 people as of September 1. Although any child always brings the happiness of the family, some believe that a family without an "heir" is unfinished. Having a "prince" or "princess" seems the very target for many couples. #HOW MANY CHILDREN PERFECTS FAMILY?